Like the first cuckoo of spring, the UK tabloids have rehashed their annual story about a mega eruption threatening Tenerife, and throwing the people into a state of panic. Sadly their scientific knowledge is so poor, they probably think that Mount Teide and the eruptions is a 60’s soul band. Having lived here for 17 years, I have witnessed these scare mongering tales before, 2009 was a particularly fertile year for rumours as it was 100 years since the last eruption just above Chinyero. The current reality is we are not even on the lowest stage of alert, the flurry of small seismic tremors in the underwater trench between Tenerife and Gran Canaria is nothing new. The volcanic nature of Tenerife make it a fascinating place to explore, there are plenty of ways to enjoy learning about what makes the island tick. 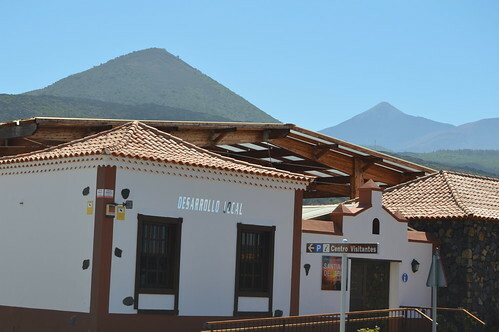 I recently made a return visit to the Santiago del Teide visitors centre at the lower end of the road into the town, to see their free exhibition about that famous last eruption and the range of volcanic outlets around the island. There was six months of growing rumbling before the vent in the side of Mount Teide erupted for ten days. It was of course a stressful time, especially with so many farming communities in the area, but no one was killed or even badly injured. Once the eruption stopped, enterprising locals even started running kart trips up to see the affected area. 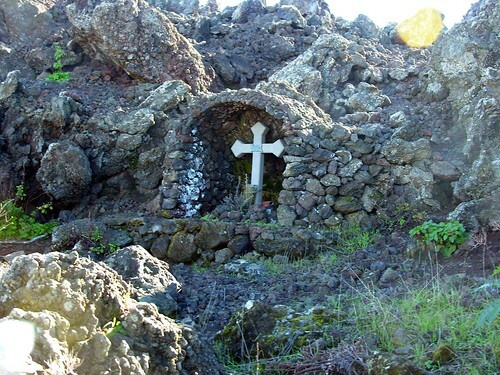 The flow of lava was heading for the village of Chinyero, the locals preyed and wheeled out the statue of the virgen to the edge of the church plaza, the lava halted just short. This perceived miracle is now celebrated every year. The visitors centre is open 9 am to 2 pm on week days. The lava fields are easily accessed these days, I have enjoyed several walks across them, a choice of routes are shown on boards in the Santiago del Teide church plaza. My favourite is the almost circular route to Arguayo, this passes the cross and shrine at Chinyero and takes a marked path through the moon like lava flow. In early spring it becomes the almond blossom walk as the trees are laden down with fantastic pink and white cascades of blossom. 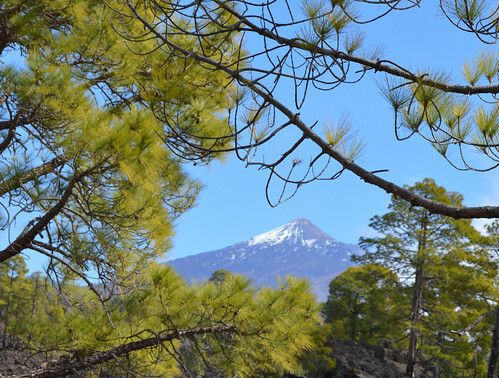 Mount Teide is also very clear from this walk, an absolute beauty when winter rains give it a dazzling white gown of snow. The Santiago del Teide visitors centre has a separate section showing walking routes, and the tourist at the edge of the church plaza will also give you advice and maps. 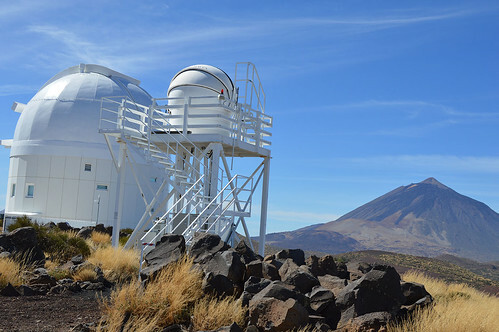 The Tenerife government backed Volcano Teide programme offers various guided excursions with a volcanic flavour, from sunset and stars,to observatory visits, and walking routes in Teide National Park. 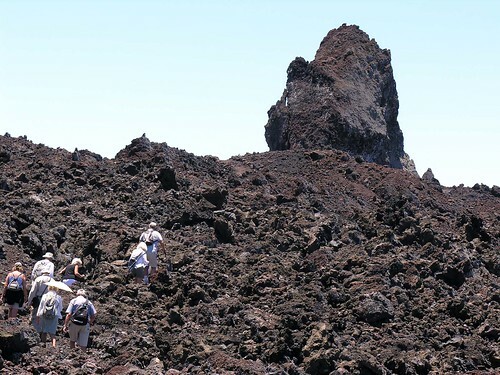 These will give you a great insight into the volcanic history of Tenerife. If you want to really delve into how a volcano works, the Cueva del Viento just above Icod de Los Vinos, is an amazing place to visit. 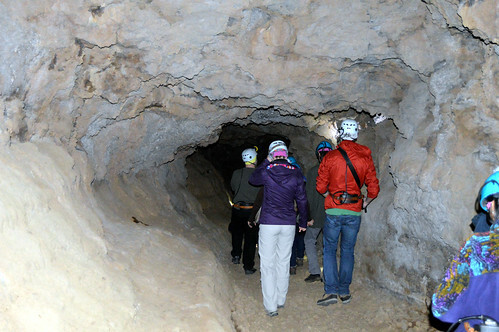 You can go down into a small section of underground lava tubes formed 27,000 years ago. In total, three layers of tubes cover 2.7 kms, the longest stretch in Europe. 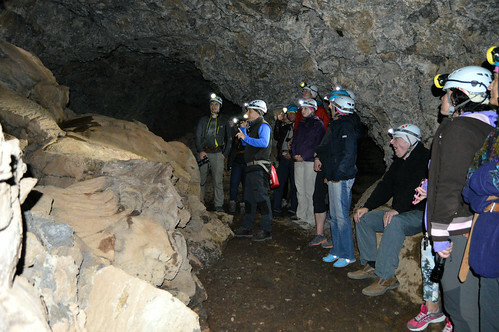 The tour is guided, complete with safety helmets fitted with lights, and before you set out, the visitors centre will explain about different types of volcanos around the world. Tremors in and around the Canary Islands are a daily happening, mainly on the lowest end of the scale, and far from being a big secret, you can access technical information on past tremors and the most recent ones. A team of volcanic experts are based at ITER, the renewable energy centre on the coast of Granadilla, down by the wind turbimes. Sensors implanted in and around Mount Teide ensure it is fully monitored at all times, There is also an authority called Involcan, that monitors safety issues and updates evacuation plans in case of any happenings. All this expertise is reassuring and better still, previous seismic activity over thousands of years has created some incredible sights to visit. 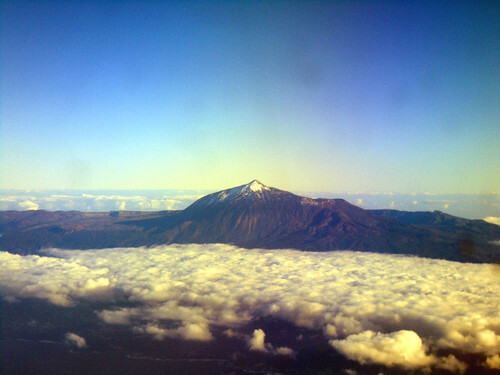 Teide is the peak of the interest but you will see smaller volcanic peaks every day as you tour around Tenerife. Enjoy.